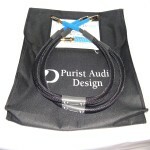 Since 1987, Purist Audio Design has been recognized as one of the most innovative manufacturers of audiophile cables. Company founder, Jim Aud, a nuclear physicist by background, is best known for his development of fluid and gel dielectrics which surround and shield the precious metal and alloy conductors in the Purist Audio Design interconnects and Purist Audio Design speaker cables. 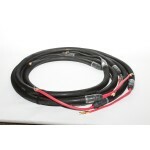 These same techniques are also applied to the Purist Audio Design AC power cords and Purist Audio Design digital and video cables. 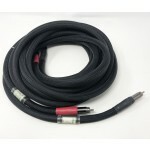 PAD was also one of the first high-end audio manufacturers to begin using cryogenic and other material treatments to enhance conductivity in their cable designs. 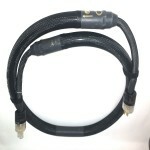 These techniques have also been applied to the wide range of highest quality Purist Audio Design adapters for RCA and XLR connections as well as BNC and Y connectors. Purist operates and manufactures all of their products in Texas. Select Purist Audio Design products are available for audition in your home and on your system through our Cable, Component and Hi-End Headphone Lending Library.